China can easily meet its Paris climate pledge to peak its greenhouse gas emissions by 2030, but sourcing 20 percent of its energy needs from renewables and nuclear power by that date may be considerably harder, researchers said Tuesday. 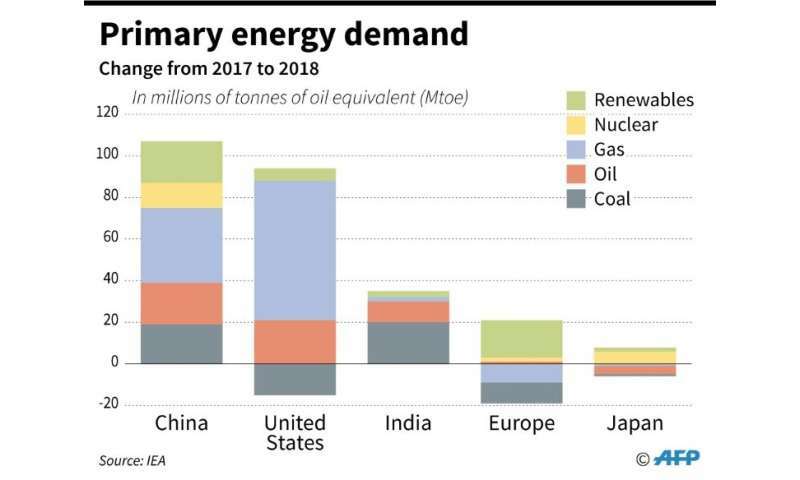 Tripling the share of non-fossil fuels will require a major overhaul of China's recalcitrant power sector and the full deployment of a fledgling emissions trading system, they said in the journal Nature Communications. If the world's top carbon polluter fails to achieve these and other voluntary targets, the 2015 treaty's cornerstone goal of capping global warming at "well below" two degrees Celsius (3.6 degrees Fahrenheit) may remain out of reach. On current trajectories, the planet is set to warm twice that much by century's end. China has also pledged to expand carbon-absorbing forests by 4,500 square kilometres before 2030, compared to 2005 levels. "China is on track to achieve its climate commitments," lead author Kelly Sims, director of The Fletcher School's Climate Policy Lab at Tufts University, told AFP. "It is not pulling back from implementing the Paris Agreement even though US President Donald Trump signalled his intention to do so." Over the last decade, China has positioned itself as a global leader on climate action, enacting a raft of policies to slow the growth of its carbon footprint and, eventually, make it shrink. Global warming, however, has not always been the main—or even the primary—target. 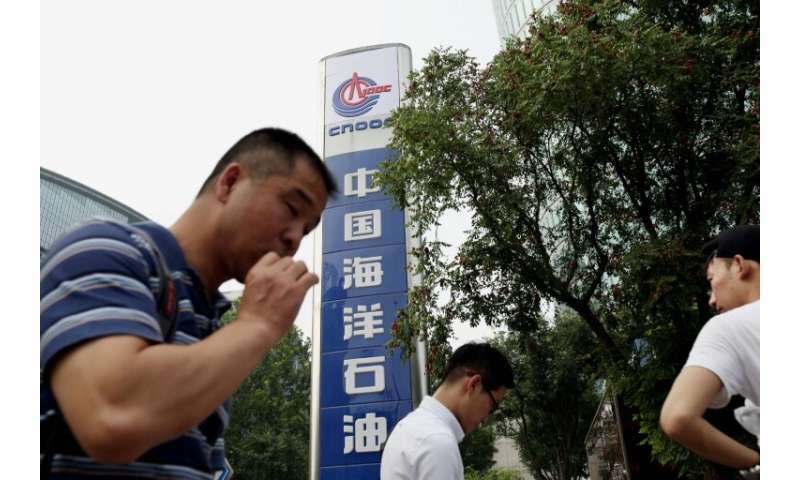 "The vast majority of China's policies have co-benefits for energy security, economic reform and reduced ground-level pollution," Sims told AFP. More than a million—up to 2.8 million, according to a recent study—premature deaths in China each year are attributed to foul air. The only major climate policy exclusively aimed at reducing CO2 levels is China's emissions trading scheme (ETS). Introduced in 2017, it is set to cover more than 1,700 power companies and some three billion tonnes in greenhouse gas emissions. China's total emissions in 2018 topped 10 billion tonnes of CO2, well over a quarter of the world total. 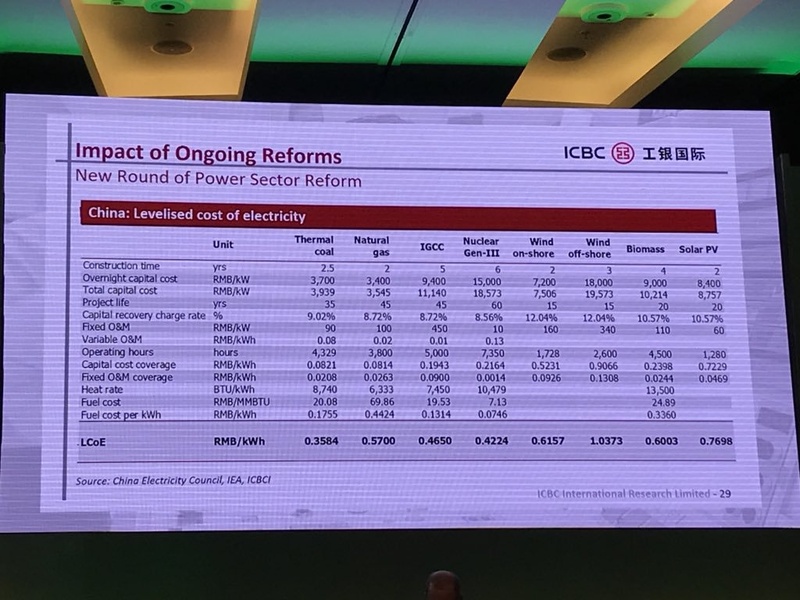 Driving up the price of carbon within the ETS and boosting the share of renewables in China's electricity grid will both depend on revamping the country's power sector, the study said. "The main challenge is completing power sector reform," said Sims. "There is political resistance from owners of existing coal plants, and from the provinces with major coal production and coal use." To assess China's chances of meeting its carbon-cutting promises, Sims and colleagues canvassed 18 experts, and modelled the implementation of 14 climate policies. China has come in for sharp criticism from watchdog groups for not setting more ambition carbon-cutting targets. The Carbon Action Tracker, which evaluates the CO2 reduction efforts in relation to capacity, has labelled Beijing's "highly insufficient." "Discouragingly, a rise in coal consumption drove Chinese CO2 emissions to a new high in 2017, which will likely be exceeded again in 2018," it noted. But the experts said that Beijing still has plenty of time to put its emissions curve on a downward track before 2030. "There is certainly room to be more ambitious in its peaking target," Sims added. China is also under pressure to bring down—and account for—emissions of the potent greenhouse gas methane, a byproduct of both natural gas and livestock production. "But China cannot stop climate change alone," Sims said. "All of the major industrialised countries will need to reduce their emissions, and rapidly developing countries will need to implement alternative growth strategies with the help of wealthier countries." China can easily meet its goals, but it may be hard? What kind of editing is that? the whole China climate promise issue is mis-leading. What have they really promised? 1. they will increase carbon emissions until 2030. Where other economies promise to decrease emissions, China has promised to increase for another 11 years. 2. Carbon intensity: this is GNP per carbon emitted. Totally meaningless as if your economy grows 6% a year (and China exaggerates its growth) you can emit 5% more CO2. Is there any climate model that includes GNP numbers? 3. Percentage generation from renewables: again, a meaningless metric based on any climate model. 4. Forest planting: OK this might remove some carbon. I'm sure China can keep promise #1 (increase emissions for another 11 years). The others don't really matter. 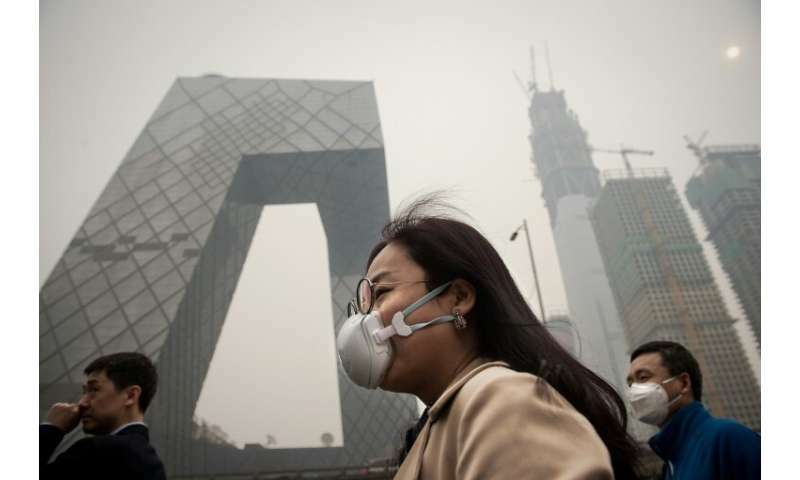 China cares first about economic growth, second acute pollution (which they can fix as US - scrubbers on coal plants). Yep, killing their people with that coal. Coal ashes are a menace to health. No developing country has ever cleaned up its environment as quickly as China. They've already reached their 2030 Paris Accord goals. They install more renewable energy and sell more electric vehicles each year than the rest of the world combined. Let us know when they stop building coal fired electric plants in India and Africa. Unlike Germany/Australia/California/etc., China is on the right way in the fight against Climate Change. 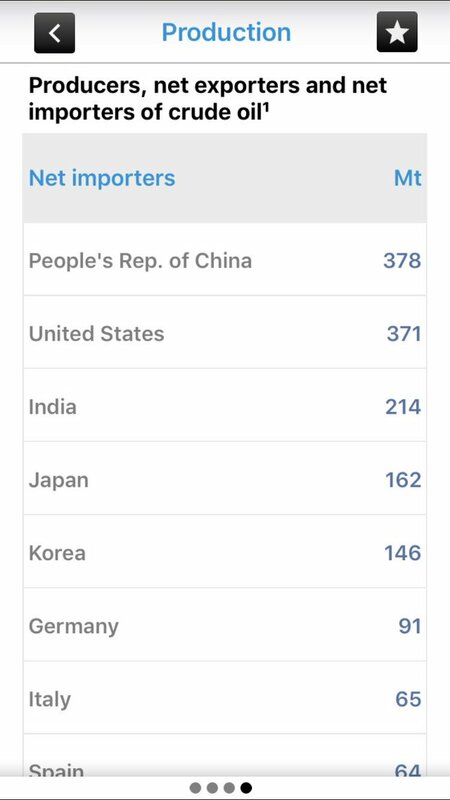 "China is a net exporter of solar panels / wind turbines." "China is funding its nuclear power future by selling solar panels to those who don't know better." "China has 50 nuclear plants under construction and nearly 200 additional units in the planning stage.If eight billion people are to enjoy hot showers and cold beer, they had better put off thinking about sunshine and wind turbines." "nuclear is cheapest electricity source after coal in China." "China is a net exporter of solar panels / wind turbines. On the other hand China is the #1 importer of oil and coal and #2 importer of natural gas." Da Schitts, the "meat" loving, knob gobbler, brays. Hey Da Schitts, let us know when you stop swallowing man "meat". As someone who has spent time as an ex-pat in China, I can tell you that "improving" their environment doesn't mean what most people would think. In Guangdong province you rarely see direct sunlight. If you visit, those aren't clouds and its not fog - its smog. If someone tells you to stick it where the sun never shines they are telling you to send it to China! The septic systems can be enormous - the semi-treated outflow channels on casual inspection look like large drainage canals. The fact that some of these outflow canals empty into rivers/bays <1/2 mile from public beaches apparently is of no significant concern. Don't even get me started on Beijing . . . I wonder why some people on here feel it necessary to constantly make anti-gay slurs? Doesn't this sight have a moderator? I would think such a relentless barrage of hate would get someone banned. Oh, and I'm certainly not a political liberal by any means. It's just a matter of common decency. I went over to the Shanghai area back in the '90s-- a tech support gig and an interesting story in and of itself, which unfortunately I will not tell here-- and it was pretty bad then. I can't imagine the mess now. No doubt about those coal fired power plants. I read that a new one is going on-line every week in China. Their coal mine fires are even more horrible as there is little concern for putting them out, assuming they could. They contribute a significant amount of CO2. I live close to one in Centralia, PA. Nasty biz. China will tell everyone what they want to hear and go about their "internal affairs" to their doom. Shanghai back in the '90s must have seemed like clean mountain air compared to Bejing today. @Helo, you're in favor of coal-fired electric plants? They should set up thermal plants to drive steam turbines around some of these, if some part of the local terrain is stable enough. Probably too costly compared to the standard coal fired one-a-week-special. Anybody in favor of coal either has a lot to make from it, or is so far in left field they aren't even in the ball park. @dfj, it's far worse that coal fires are making CO2 pollution. Is there evidence that these make more CO2 than coal-fired electric plants? I know about underground coal fires. I wanna see numbers. @ DS, one favor for another. Is it true that a lightning strike could produce gamma rays suggesting antimatter production and annihilation? Read this somewhere and it almost sounds like "cold fusion", but stranger things have been known to happen (or not). @dfj, totally off-topic. But correct; yes, lightning strikes are high enough energy density to make positrons, though not anywhere near enough to account for the electrons. Like, by orders of magnitude. We're talking about powers of ten here, not multiples. Your turn; I want to know how much underground coal fires are contributing vs. how much coal plants are. Do you have that? I did not want to drag those numbers into this since it seemed so ghastly that these are burning out of control. Space shots of western China are streaked for many miles with black soot from these fires, so the damage from these is not just CO2. Also keep in mind that they are increasing in numbers and intensity. But they only represent a small part, right now. This will change in time as more start and many get larger. All of this data is almost ten years old. Best I can do. But it tells the story. From that same article: "China's coal consumption in 2010 was 3.2 billion metric tonnes per annum." I was after the shock value of the mine fires. It turns a lot of people off, even though it is a small amount. Don't hammer me for overt pessimism. The masses need to be shown horrible scenes. Visual impact is enormous. It is the only way to turn the tide against this insanity and I will use any and all means to truthfully tell it like it is: Horrific. The rule of unintended consequences from Chinese coal plants . . . The continuous stream of bad environmental news is very worrisome. I just hope we can put the brakes on Global Warming before it becomes a human catastrophe too. I watched a sci-fi series on Netflix called Travelers that I recommend. I only mention this because in the show, even the time travelers from the distant future were having an incredibly hard time undoing all the damage we are causing. At first I was surprised at this, but somehow, this felt like the correct result. It probably is going to be hard to undo what is happening right now. We should be pushing our clean technologies like our lives depend on it, just in case they do. We are sufficient advanced technologically to solve this problem if we can summon the collective will power to do so. Coal fires are a serious health and safety hazard, affecting the environment by releasing toxic fumes, reigniting grass, brush, or forest fires, and causing subsidence of surface infrastructure such as roads, pipelines, electric lines, bridge supports, buildings, and homes. Whether started by humans or by natural causes, coal seam fires continue to burn for decades or even centuries. Across the world, thousands of underground coal fires are burning at any given moment. The problem is most acute in industrializing, coal-rich nations such as China. Global coal fire emissions are estimated to >>cause 40 tons of mercury<< to enter the atmosphere annually, and to represent three percent of the world's annual CO2 emissions. Methyl mercury is extremely toxic and is building up big time. I don't know about its scrubbing in Chinese plants. @Mark Thomas, it is very unlikely things can be reversed, but we need to try. CO2 remediation is critical. I believe the Netherlands has devised a viable means of liquefying it and either disposal in deep wells with lots of water pressure to prevent it escaping, or deep ocean "crust" injection. Some may be not permanent, but something needs to be done and fast. One of, if not the biggest disasters of elevated CO2 is acidification of the oceans. A few decades ago, anywhere you went, the pH was 8.1-8.3. Now, I don't think you will find any surface water above pH 8. This is catastrophic for many species which cannot handle such changes. Without CO2 remediation, you can kiss most of oceanic species goodbye. We truly are creating a mass extinction event. Did anyone say there is intelligent life on earth? DS, I am well aware of "order of magnitude", and thanks for clarifying that issue. Wow! "Although inorganic mercury is only a trace constituent of such fuels (coal, etc), their large scale combustion in utility and commercial/industrial boilers in the United States alone results in release of some 80.2 tons (73 tonnes) of elemental mercury to the atmosphere each year, out of total anthropogenic mercury emissions in the United States of 158 tons (144 tonnes)/year." If these numbers are correct, global coal mine fires release about 50% of U.S. levels (for energy per year), so we can all thank DS for his insistence on knowing the full impact. On CO2, not so much, on mercury, way too much. I don't even want to know what Chinese coal plants release in mercury. Somebody else can tell us that, just headline it with a warning. Don't have the stomach to look it up. I think this is where we're going to wind up too, @dfj. Herding the cats to get them to stop farting doesn't seem like it's gonna work to me. DS, stealing a quote from a former Grumman TBF Avenger pilot (shot down), and also White House occupant, G.H.W. Bush - - "We are in deep doo-doo!" dfjohnsonphd wrote: "It is very unlikely things can be reversed, but we need to try. " CO2 levels will begin to fall again at some point, whether by our new-found determination or our extinction/near extinction. We should be deeply worried about when CO2 levels will begin to fall. The last time CO2 levels were below 400 ppm was 2015. We should be wondering what year will CO2 levels fall below 400 ppm again? Of course if we only manage to sustain CO2 levels at 400 ppm, expect a 10-20 meter sea level rise, so that is just the beginning of the CO2 fall we ultimately need. We are in very big trouble thanks to the oil companies and their corrupt politicians that have done everything in their power to cause this because it makes them billions. @Mark Thomas, the CO2 " surface levels" are much higher than most people realize. When CO2 contacts water above pH 7.3, it rapidly dissolves --- CO2 + H2O -> H+ + -HCO3. Carbolic acid. There is a vast amount of this in most water on the world - the oceans. This is why the oceans are being acidified. I would think the considerable majority of industrial+ CO2 is in the oceans since plants could not grow as fast as all that water can absorb it. As the oceans get closer to pH 7.3, at least the surface, the uptake will slow, and atmospheric CO2 will begin to climb to levels unheard of, at least in any models that do not take the oceans into account. Oceanic deep sea up-wellings mixing with surface waters cloud this picture. I am not sure of this impact on keeping the oceans as a giant sink for CO2. More mixing increases the "immediate" sink at the surface by keeping pH levels higher, but there is an end point to that. The situation may be much worse than many think. More on methyl mercury (MeHg). From wiki and other sources. This is one of the most dangerous chemicals building up in the environment. Hall-of-Fame nasty stuff. MeHg is a cumulative neurotoxin - never leaves your body and cannot be degraded to a non-toxic form. It will one day change the very nature of people and all species exposed to it at current and future levels. General eating advisories of one wild fish meal a week for adult males, and virtually none for children or women of child bearing age tells the story of how bad it has gotten. This is for wild fish. Large fish from the world's oceans are highly poisoned by this stuff. MeHg is formed in the biosphere largely by microbial action. Human intake can come from atmospheric sources and food. Either will end up as methyl mercury in your body and accumulate until the end. Let's us hope it is not caused by MeHg poisoning. "Global growth is supercharging emissions — and we're running out of time to help "
Homo sapiens are the most dangerous species to ever inhabit the earth. We will make the P-T extinction event look like an over-fished bass pond. None of these proposals are practical from a "get anywhere" perspective. We crank out tens of billions of tons of CO2 every year, and we have one company claiming to recapture the gas at ca. $100 per ton. It doesn't take a CPA to tell you that this approach is never going to work. Doom is less costly and seemingly inevitable. I would appreciate anyone with more knowledge in this to read the article and tell me I am wrong.